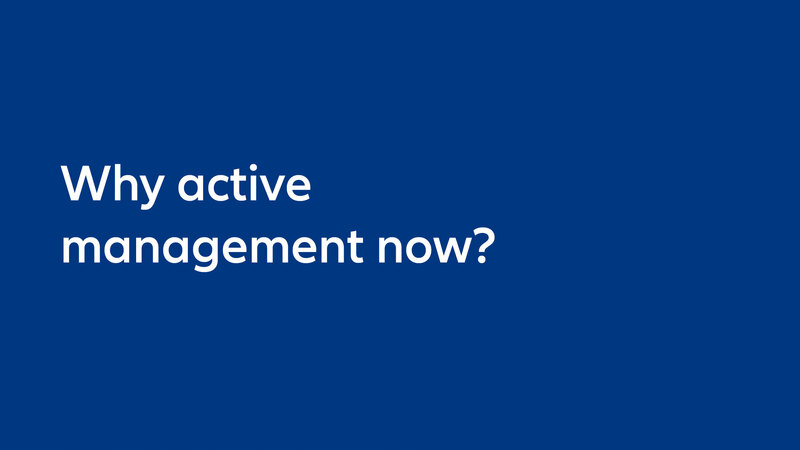 Allianz Global Investors | Why active management now? Investors have benefited from an extended bull market in equities and bonds, but lower real returns are expected in coming years. CEO Andreas Utermann says the alpha that active managers could generate will be vital in protecting against inflation and delivering returns. Investing involves risk. There is no guarantee that actively managed investments will outperform the broader market. The value of an investment and the income from it will fluctuate and investors may not get back the principal invested. Past performance is not indicative of future performance. This is a marketing communication. It is for informational purposes only. This document does not constitute investment advice or a recommendation to buy, sell or hold any security and shall not be deemed an offer to sell or a solicitation of an offer to buy any security. The views and opinions expressed herein, which are subject to change without notice, are those of the issuer or its affiliated companies at the time of publication. Certain data used are derived from various sources believed to be reliable, but the accuracy or completeness of the data is not guaranteed and no liability is assumed for any direct or consequential losses arising from their use. The duplication, publication, extraction or transmission of the contents, irrespective of the form, is not permitted. This material has not been reviewed by any regulatory authorities. In mainland China, it is used only as supporting material to the offshore investment products offered by commercial banks under the Qualified Domestic Institutional Investors scheme pursuant to applicable rules and regulations. This document is being distributed by the following Allianz Global Investors companies: Allianz Global Investors U.S. LLC, an investment adviser registered with the U.S. Securities and Exchange Commission; Allianz Global Investors GmbH, an investment company in Germany, authorized by the German Bundesanstalt für Finanzdienstleistungsaufsicht (BaFin); Allianz Global Investors Asia Pacific Ltd., licensed by the Hong Kong Securities and Futures Commission; Allianz Global Investors Singapore Ltd., regulated by the Monetary Authority of Singapore [Company Registration No. 199907169Z]; Allianz Global Investors (Schweiz) AG, licensed by FINMA (www.finma.ch) for distribution and by OAKBV (Oberaufsichtskommission berufliche Vorsorge) for asset management related to occupational pensions in Switzerland; Allianz Global Investors Asia Pacific Ltd., licensed by the Hong Kong Securities and Futures Commission; Allianz Global Investors Singapore Ltd., regulated by the Monetary Authority of Singapore [Company Registration No. 199907169Z]; Allianz Global Investors Japan Co., Ltd., registered in Japan as a Financial Instruments Business Operator [Registered No. The Director of Kanto Local Finance Bureau (Financial Instruments Business Operator), No. 424, Member of Japan Investment Advisers Association and Investment Trust Association, Japan];and Allianz Global Investors Taiwan Ltd., licensed by Financial Supervisory Commission in Taiwan. 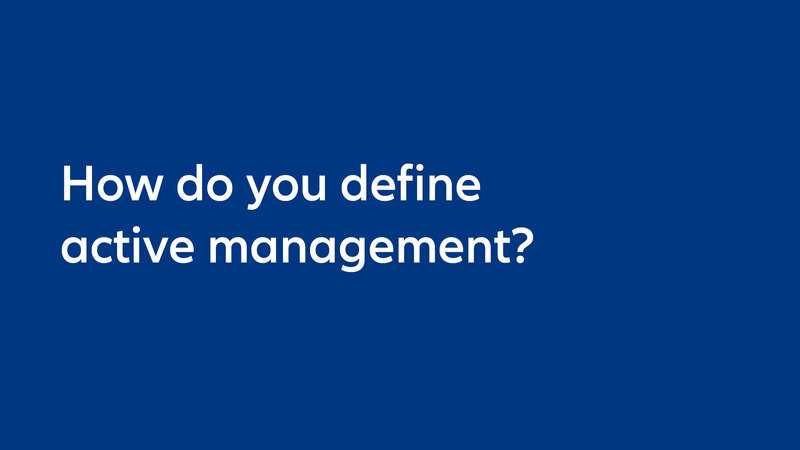 How do you define active management? There’s more to active asset management than beating an index benchmark. 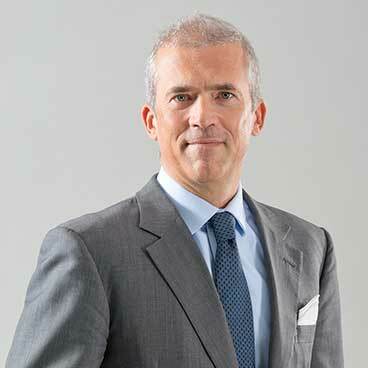 Working with clients to understand their liabilities and build an appropriate solution is key, says CEO Andreas Utermann. A benchmark may play a part, but more often a broader set of tools and strategies is involved.